With a ~$2 billion endowment the Kauffman Foundation is the largest non-profit focused on entrepreneurship in the world. Giving away $80 million to every year (~$25 million to entrepreneurial causes) makes Kauffman the dominant player in the entrepreneurship space. 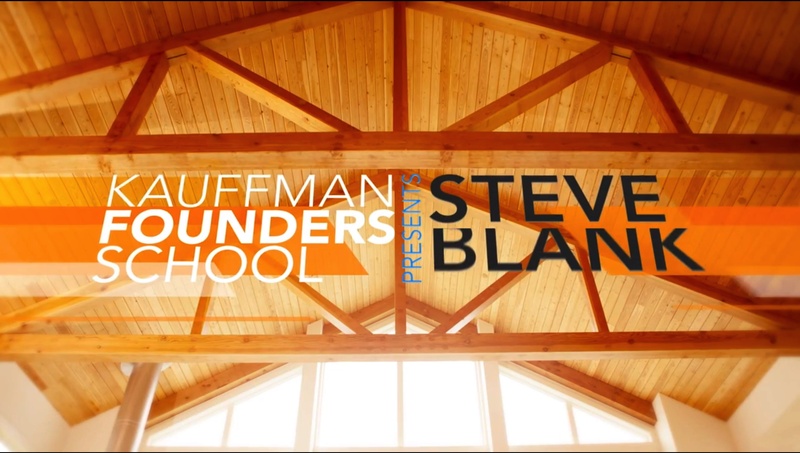 Kauffman launched Founders School – a new education series to help entrepreneurs develop their businesses during the startup stage by highlighting how startups are different from big companies. In January 2014 Part 1 of the “Startups” section of Founders School went online. As in the first part of this series, I’m in good company – I’m joined in Founders School by Noam Wasserman of Harvard teaching Founder’s Dilemmas, Craig Wortmann University of Chicago covering Entrepreneurial Selling, Peter McDermott helping understand Intellectual Property, and Nathan Gold offering how to give Powerful Presentations. These videos are not only great tutorials for founders but also provide educators with another source of well produced and curated resources. These “Startup and The Lean Approach” videos are a great general purpose companion to my “How to Build a Startup” lectures on Udacity. 2:44: What is a Pivot? 0:24: What is Customer Development? 1:09: How Do You Start the Customer Development Process? 0:18: What is a Minimum Viable Product?